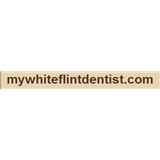 Innovative Dentistry of Rockville (Rockville) - Book Appointment Online! Our excellent service, friendly team and state-of-the art facility ensure that you will receive the high quality, personalized dental care you need and deserve. He was fantastic. He took his time, explained everything, and was very thorough. The hygenist was also really good. One of my best dentist experiences.